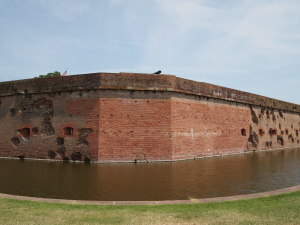 An important coastal landmark is Fort Pulaski on Cockspur Island, at the mouth of the Savannah River. The fort is part of the National Park system and you can go on a guided tour with a park ranger to the history of the fort and the weapons used there. You will also inevitably hear the story of the Battle of Fort Pulaski. In 1829, then second lieutenant in the U.S. Army Corps of Engineers, Robert E. Lee was ordered to Cockspur Island outside of Savannah, Georgia to build a fort on the marshy island that would command the outlet of the Savannah River. Lee was involved in the early stages of construction as the island was being drained and built up, but was transferred to Fort Monroe in 1831. The fort was completed in 1847, and following the secession of South Carolina in 1860, was taken over by troops of the state of Georgia. In February 1861, Georgia joined the Confederacy and the fort was occupied by Confederate soldiers. 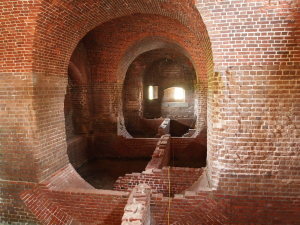 Robert E. Lee returned to Fort Pulaski in 1861, this time as a general in command of the Confederate coastal defenses along the Carolina, Georgia and eastern Florida seaboard. After serving most of his career as an engineer, Lee was there to give orders and recommendations for the defense of the fort. By April 1862, Union forces occupied nearby Tybee Island and had begun construction of a battery along the beaches. 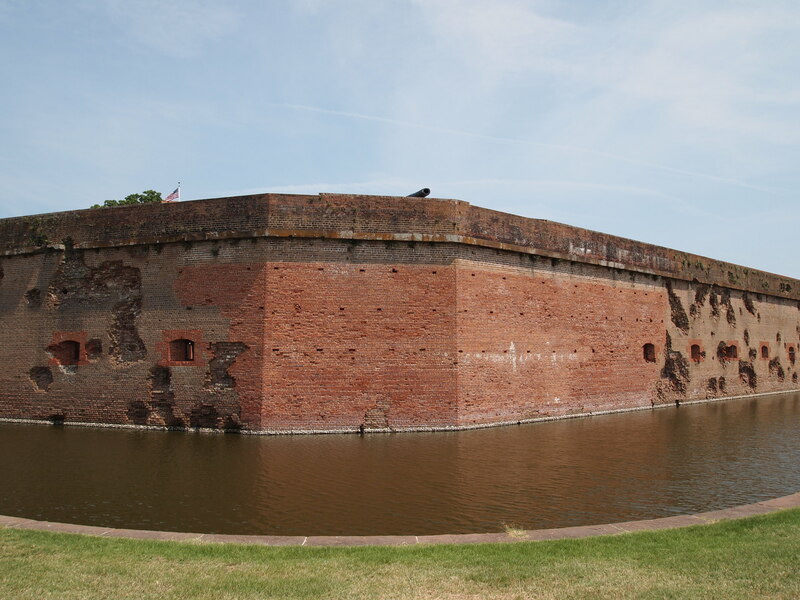 Fort Pulaski, thought to be impenetrable because of its location out of the range of artillery, was captured by Union troops on April 11 after successful shelling with new rifled cannons that were able to fire significantly further and were able to breach the walls of the fort.